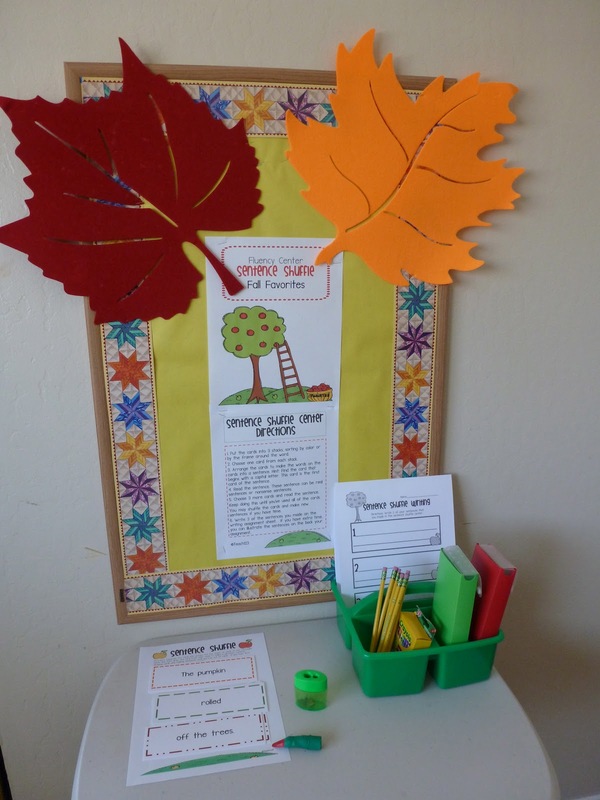 Just in time for fall is my my new fall themed fluency center. I just added it to my TPT store yesterday. I set up the center to give you some tips. *The center sign which is hanging on the bulletin board. I didn’t use a background color or pattern so it won’t use as much printer ink. If you do like color, you can print the first page of the packet with has a yellow polka dot background. *Under the center sign is the directions, in case your students don’t listen when you explain the directions the first time. They now have a handy reference tool instead of interrupting your lesson. 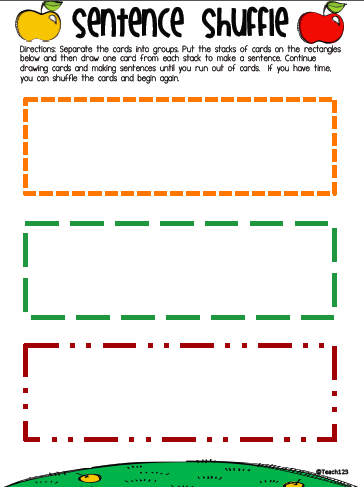 *Students stack the cards on the card sorter sheet which is the paper on the left side of the table. If you want to add more color, you can print this on colored card stock. 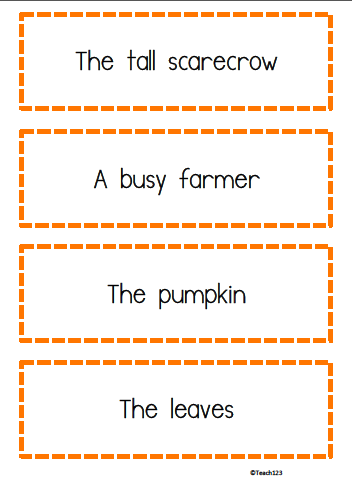 *After students choose one card from each stack of cards and put the cards in the correct order to make a sentence, they will read their sentence to their partner. *Not included in the packet is the witch’s finger. Students love to put this on and point to their words when they read. You can find witch’s fingers at Party City and other stores that carry Halloween costumes. *In the green organizer is the writing assignment, pencils, pencil sharpener, crayons, and plastic supply boxes with colored pencils. 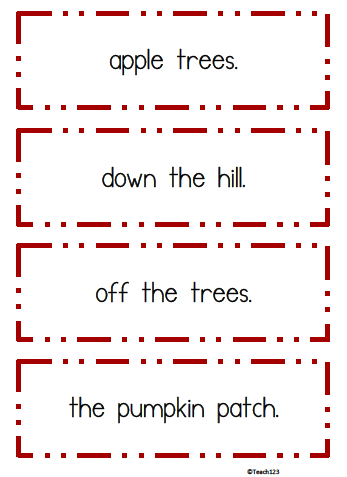 Students choose 3 sentences that they made with the word cards to write on their assignment. 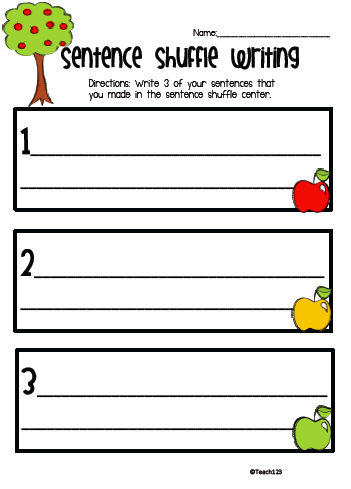 Students may write their sentences with regular pencils or colored pencils. If they finish early, they may illustrate their sentences on the back of the assignment. *Sentences may be real or nonsense sentences. 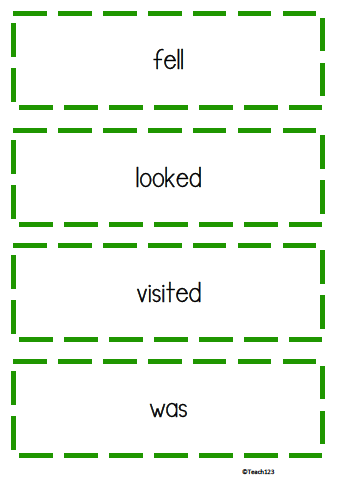 This is the page that students stack the word cards on. These are the word card pages. There are 2 sets of each of the cards below. So you will have 8 nouns, 8 verbs, and 8 more information cards altogether. There is also a set with a black border. The black boarder set has the same words as the colorful set. It is for teachers who prefer a black and white version. This is the writing assignment page. 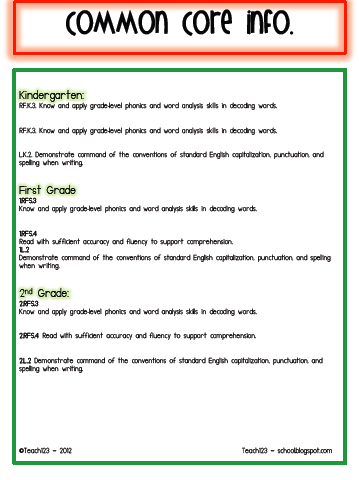 This center is aligned with K, 1st, and 2nd Common Core Standards. Great job with the fall theme! The bulletin board looks great.